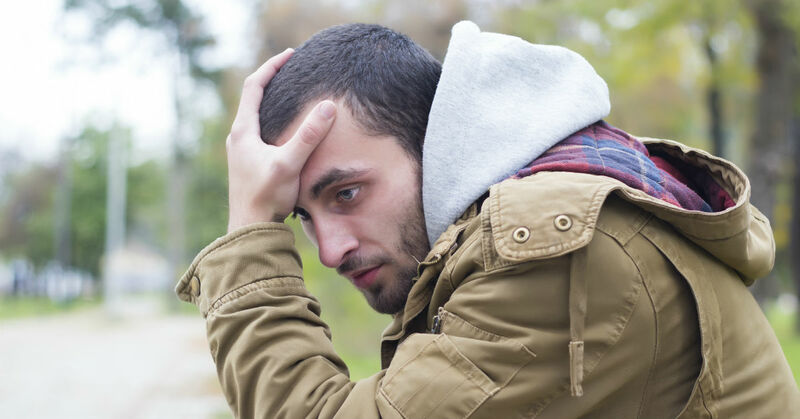 If you are worried about the long term effects of your troubled son’s behavior, you may need to consider more intensive treatment options than you can provide at home. We can help you find the right solution for your son and your family. Sundance Canyon Academy is a therapeutic boarding school designed to help struggling boys from Indiana and throughout the country heal on the deepest level and learn how to cope with daily temptations and challenges in a healthy way. We offer a secure and supportive environment where you and your son are guided through the process of recovery by experienced therapists and counselors. If you are looking for a caring partnership with a program that is committed to helping your family return to a place of unity and peace, Sundance Canyon Academy is the ideal choice. For more information on therapeutic boarding schools for boys in Indiana and the ways that our program can benefit your son, please contact us at 866-678-2425. We have spent many years developing a program that caters to the needs and learning style of teen boys. Our approach allows our students to become the agents of their own change through proven methods that deal with the root of the problem, rather than just the symptoms. We offer each boy an individualized plan of care that addresses his specific challenges and goals and our intimate facility size means that your son will get the regular one-on-one attention that he needs from his counselors and therapists that can make changes to his treatment plan as he works his way through the program. We believe that real change can only come from exploring and identifying the core of each teen’s issues and teaching him how to self-regulate and manage himself in the future. A unique relationship based therapy program that allows boys to have hands on therapeutic treatment that engages them and appeals to their learning style. Parents can get some much needed physical and emotional respite from the challenges that come with raising a troubled teen. While they recover, they can relax knowing that their son is in safe and experienced hands dedicated to helping him turn his life around. Each state has different required standards of care and accreditation for their teen help programs. Many parents throughout the country have to look a little further from home to find the quality and experience they want for their sons. Utah is currently the most popular destination for troubled teens because it has the most comprehensive laws and regulations. We offer an exceptional academic program that is both nationally accredited and overseen by licensed instructors. Each teen is guided toward meeting his educational goals at a pace that works for him. Our therapy curriculum includes a variety of modalities in addition to the usual group, family and individual sessions. Some of these include recreation, music and experiential therapies in order to reach each troubled teen on a personal level. Our students also participate in life skills opportunities that help them gain a well-rounded experience. 9.6 percent of teens in Indiana abuse alcohol and approximately 5% use illicit drugs. Indiana ranks 30th in the nation for teen suicide. Pregnancy rates for Indiana teens is 49.8 percent. 13.2 percent of children in the state are diagnosed with ADHD every year. In 2008, the U.S. Department of Justice reported over 4,000 juvenile arrests for crime, substance abuse and weapons violations. High School graduation rates for Indiana teens are 86 percent. If you are feeling discouraged by the fact that your teen isn’t showing any signs of improvement despite your best efforts to help him, remember that some boys are unable to make the changes they need without intensive help and a completely controlled environment. We believe that each troubled boy has the capacity to overcome his issues and move confidently forward into a better future, as long as he has the right kind of help. At Sundance Canyon Academy we want the same thing you do; to see your son gain confidence and become the mature and kind young man you know he can be. Why Should You Choose An Out Of State Program Rather Than A Therapeutic Boarding School For Boys In Indiana? We know that you only want what is best for your troubled son and we want to help you find a solution that will give you confidence. Although the therapeutic boarding schools for boys in Indiana seem ideal because they would keep your son closer to you, we urge you to remember that giving him the most effective experience is based more on safety and selecting a program that meets his needs, regardless of where it is located. We have helped hundreds of families just like yours and we look forward to giving you the help you need to move forward. Contact us today at 1-866-678-2425 for a free, no-pressure consultation.